About 650 native plants grow in alpine environments, above the timberline. Many are difficult to grow in home gardens, especially in the warmer parts of the country, as they often succumb to summer rot. 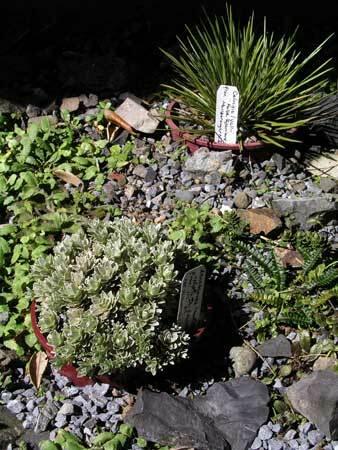 Nevertheless, Arnold and Ruth Dench have established a fine collection of native alpine plants in their windswept garden in Newlands, Wellington. Most alpines require excellent drainage and a cool flow of air around them. The Denches have replaced the hillside’s broken rock and clay with a fast-draining mix of river gravel and good-quality compost, in which they have planted numerous alpines. They also grow a number of plants in clay pots, which they embed in the garden. These can be uplifted and moved if growing conditions prove unfavourable.